"It has to get better than this..."
I must admit there have been numerous times the past year-ish, when I have either said or at least thought this exact sentence. Sitting on the couch wrapped in a blanket, staring at a computer screen at 8 o'clock at night and wishing there was time for a nap before bed has left me wishing on many occasions that it would "get better." It sounds ridiculous to even put into words, but it's there. All it takes is one or two really bad days physically, emotionally, spiritually...and I am right back to the point of hopelessness--wondering, desperately hoping against hope that somewhere down the line it gets better, but not quite finding the resolve and strength to believe it will. Last night was just such a night for me. After a day that was perfectly good and uplifting, the night-time hours brought my spirits low and when the pain levels refused to cooperate in unusual proportions I found myself at the end of another night reaching my limit on despair and spiritual doubt. It is frightening to let yourself reach a point where you question God's character, but it is terrifying to know how incredibly outrageously wrong and untrue it is and yet still find yourself drifting there time after time. It is frustrating beyond belief. What is it about chronic pain that I find so hard to reconcile with the character of my God? Do I really believe that God is good when I am in pain? Am I so easily distracted from believing truth? Do I treasure God and hold my health in an open hand? Or have I so badly reversed what should be that I am holding my belief in God's character with an open hand while treasuring my health and comfort more than that...? Sometimes it seems difficult to say. In between the mountaintops of joyful acceptance and the valleys of hopeless despair there are a lot of days of mundane walking. Sometimes hitting a bump or pothole, but mostly just trudging, to be honest. I think that is one aspect of fibro that I find the most unsettling. I can embrace the moments of joyful acceptance. I can handle brief interludes of wrestling with despair to get back to a more accurate view of God, but the aspect that is most prone to debilitate my faith is the persistent trudging required. There are long days that turn into weeks and months where I can avoid hitting rock-bottom by keeping busy or focusing on other things, but there is also no joyful acceptance or embracing of God's purpose in this fibromyalgia. There is simply going on because I have to. There is a sense of avoiding the elephant in the room, and hoping that nobody notices. It is these stretches of time that really test and push faith to prove itself. Do I believe God is good when I can't feel it? Do I know God well enough to trust Him when it doesn't fit into my view of what should happen? It is these times when I have to force myself to face reality, but also to embrace what God is doing through it. Avoiding the truth is not the same as accepting it, and trusting God with the circumstances is not the same as pretending they aren't there. If we are to navigate through our lives with grace, we must face what scares us, and face what we don't want to think about, and face it realizing that our God is not cruel or purposeless in His actions. He gives us these things for a reason and He expects us to bring them to Him again and again and again. He will always be more capable and willing to hold them than we are. Sometimes it's hard to be open about weaknesses. We all have things that we feel insecure about in ourselves, and it's difficult to be willing to be open about those things. It's the topic we try to hide from our families, our friends, and even ourselves at times. It is that topic that draws out our most strenuous knee-jerk reactions against discovery at all costs. Most people do not enjoy having their weaknesses pointed out to them or to those around them. This is one reason fibromyalgia can be so hard to share with those around you. 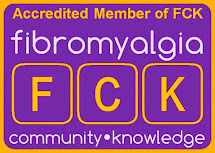 At its core, fibromyalgia feels like weakness--weakness of mind, of body, of emotion, of soul, etc. 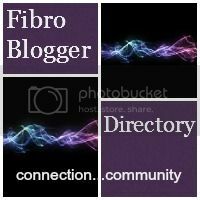 At times fibro is referred to as ultra-sensitivity, but I believe a rather accurate label is found in the word "weakness." What compounds the difficulty is that there is no physical sign of weakness. It is not as though people can see marks or physical degeneration, so it can be tempting to believe that it is all in your head. Some doctors even still promote this line of thinking. All in all, it is a very difficult topic to bring up and/or to be transparent about with others, particularly those around you who love you. This is the case for this reason among others. So, why an entire blog post about transparency? In a sense this entire blog is on the need for more transparency and is, in fact, an attempt to promote that from both sides. Being transparent about weakness requires a safe environment in which to share that with others. If other people treat you as if you are making it up, or exaggerating, or even act so over-the-top in their sympathy that it's worse than having it ignored, it's difficult to know how to respond. In a similar way, I have been told it is also difficult to live with someone in chronic pain, exhaustion, and mental fog and somehow know how to respond as well without resorting to the "I need to fix you" stage. So here we reach the "transparency conundrum," because obviously it is vitally important to have someone there to help deal with what is going on, but it is equally important that they are not bogged down in your problems. When you are just starting this process it can be hard to understand how much to share, what to share, and when to share. Eventually a compromise system has to come info effect, but it will look different for different people. Bottom line: It is incredibly harder than you probably realize to work through finding how to be biblically transparent in fibro or any condition that involves chronic pain. If you find yourself in a situation of living around it or even living with, remember that the person, who is somebody you care about, is dealing with a lot and a major stigma against it from the outside world. Be willing to share your struggle through it. More so, if you are living with someone who finds it difficult to share, take the initiative to find a way to know what's going on. This process can be messy and difficult, but it is not impossible. Put in the work, and you will be glad you did.